The following article appeared in the 7 February 1891 issue of Harper’s Weekly less than two weeks after the 7th Cavalry Regiment had returned to Fort Riley. In his account, First Lieutenant John C. Gresham provides the first complete narrative of the Regiment’s actions at Wounded Knee as written by an officer that was present on the field. Gresham was later awarded the Medal of Honor for his actions that day. 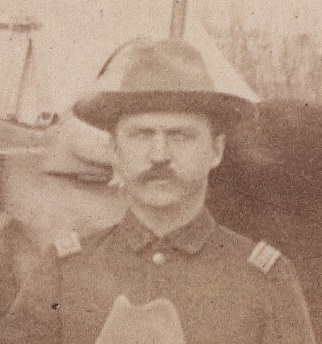 First Lieutenant John C. Gresham at Pine Ridge Agency, c. 1891. The Seventh Cavalry had lain in camp at Pine Ridge from the 27th November till the 26th December, 1890, when an order came which sent our First Battalion to do important work. We got the order at 12 M. and about dark that short winter day were in camp on Wounded Knee Creek, eighteen miles away. Two Hotchkiss guns, manned by an officer and ten men of Battery E, First Artillery, accompanied us. Men and officers were in fine spirits, and found nothing to regret but the absence of head-quarters and the Second Battalion, who had been left to endure the monotony of Pine Ridge. Each battalion has four troops. The First, to which I belong, is commanded by Major S. M. Whitside, and at Wounded Knee had 232 men and ten officers. Of the men, eighty-one were new, but little trained as soldiers, and not at all as marksmen. Thirty-eight had joined at Pine Ridge only a few days before they were called on to fight. Prior to this campaign eighty-five percent of our men had seen nothing of Indians—indeed, had no knowledge of them beyond what is usually acquired at home by city or country boys of their class and station. Our main arm is the Springfield carbine, which is not a magazine gun. Major Whitside was ordered to capture and disarm Big-Foot‘s band of Minneconjoux Sioux, or, in event of their resistance, to destroy them. The Sioux Indian is noted for his exceeding litheness, agility, dexterity with weapons, skill as a marksman, and surpassing horsemanship. For generations he has been a hunter, and possesses by inheritance all the knack required in outwitting and securing every kind of game. No animal, however shy or watchful, is safe against the quick, stealthy approach of the Sioux Indian. This talent was well illustrated in the wounding of Lieutenant J. D. Mann. He was commanding his troop in skirmish line along a prominent ridge. About a hundred yards to his left and rear, and running from the crest down the slope, was a slight depression, whose existence no one suspected. A few Indians crawled along this, and gave us a volley partly enfilading and partly in reverse. A detachment was sent there at once, but saw no one. Big-Foot’s band was the worst of their race, and had they been disarmed, would have been sent as prisoners of war to Gordon, Nebraska, and thence by rail to a distant point. They belonged at the Cheyenne Agency, and were trying to penetrate our lines and join the hostiles in the Bad Lands of White river. On leaving home they had cut up their harness, broken their wagons, and shown clearly their intention of going to war. The 27th and 28th December were devoted to scouting the country surrounding our camp on Wounded Knee. But no trace of the Indians could be found until about noon of the 28th, when a scout reported they were only fourteen miles away. We were soon mounted, and after a rapid trot of an hour and a half, saw them on high ground two miles in our front. A mile further we dismounted, and formed line on a crest. The Indians moved forward, bucks on horseback in long line in front, women and children in wagons or travois in rear. They displayed the white flag—a false emblem, as shown next day. Deducting an officer and twenty-five men left to guard camp, and including Lieutenant H. L. Hawthorne and the detachment of artillery, our force amounted to 225 men and ten officers. Leaving one-fourth of the troopers to hold horses, our line of battle had 170 men and ten officers. Suddenly appeared indications of dispersion in the right wing of the hostile line, and several bucks broke off and galloped to our left. It looked like the beginning of trouble. But when sternly called to and motioned back, they returned, and all signs of scattering disappeared. Experienced officers pronounced the Indians “a saucy set,” and quietly warned the soldiers to be ready. After a short conference Big-Foot surrendered his band, declared his heart was good, and that he loved the pale-faces. There were 120 warriors, well armed and supplied with ammunition. They were escorted to our camp, near which ground was assigned for their village. A wall tent with stove was set up for the chief, who was sick, and rations were given his people to the number of 380 souls. At nightfall the village was encircled by sentinels, with orders to permit neither exit nor entrance. Seven days before these events, this band had been captured by a battalion of the Eighth Cavalry, under Major E. V. Sumner. They escaped the first night, and conducted their march with such skill that the most zealous and extended scouting failed to discover a trace of them. General Brooke had offered twenty-five dollars to any scout who found them, and his offer had been doubled by the reporters of the press. On the evening of the 28th it was quite natural that all should be merry in our camp. Officers and men were delighted that Big Foot was found and captured. The main obstacle in the way to early and peaceable adjustment was apparently removed. Home and comfort seemed near at hand. Officers said and felt they would rather shoulder a gun and do duty as sentinels than see the Minneconjoux have the slightest chance left them of a second escape. I was officer of the guard, and never saw duty as well done. The night was cold, invited rapid motion of sentinels on their beats, and made sleep impossible even for the reserve. Whitside had captured the Indians; they must now be disarmed or destroyed, but destroyed only in case of resistance. To demand their arms before accepting the surrender was the plan that offered itself at first. But this was wisely rejected, and at once a message was sent to General Brooke, making known the state of the case, and suggesting that the Second Battalion be sent out. This measure was induced by no apprehension of trouble, but was a precaution to render failure impossible. Brooke approved, and the Second Battalion with General Forsyth, reached Wounded Knee at 8.30 P.M. Two Hotchkiss guns, with a detachment of Battery E, First Artillery, under Captain Capron, came also. Before leaving Pine Ridge, General Forsyth received the same orders as had been given Whitside. As to the personnel of the Second Battalion, the same is generally true as stated in describing the First. The night passed quietly. At 8 A.M. of the 29th, in a conference with the head men, General Forsyth explained what was required. They stated they had no guns. All the bucks were then assembled, and told their guns must be surrendered. Their countenances were sullen, their attitude and air ugly and defiant. It seemed highly improbable they would come to terms. Twenty were told off, and ordered to go to the village and bring their guns. They soon returned with two old pieces, long used, no doubt, as toys by the children, but forming no part of the splendid Winchesters owned by the warriors. It was clear they would not of themselves give up the guns. Forsyth‘s position was a trying one. Every peaceable method must be tried, all gentle means must fail, the Indians must resist before they were destroyed. In this emergency a practical, possibly dangerous, plan presented itself. Two dismounted troops, fully armed, and numbering 110 men, were marched up and disposed at right angles on two sides of the semicircle of bucks. A small detachment from each, under an officer, was sent through the village to search for arms. They found thirty-eight old guns, which were clearly not the kind wanted. They had probably been carried in the wagons with the squaws, but made no part of the equipment of the warriors. It was now evident the bucks were armed. They had made no resistance, however, and the moment for destroying them was not come. Of gentle means, only one remained untried. Personal search must now be made at all hazards. It proved more deadly than an attempt to deprive of their claws an equal number of tigers, for the search was hardly begun when the whole body of painted, bedizened fanatics sprang as one man, or rather as one demon, flung off their blankets, and with nothing but breech clouts and light ghost shirts to impede their marvellous agility, began emptying their magazine rifles into the ranks of the soldiers. The fire was returned instantly and with great effect, so that after a desperate struggle of a few minutes the surviving bucks made a headlong rush for the village, and thence into the adjacent ravine. Here they met death from the men of A and I troops, dismounted and disposed on that side. The frightful hand to hand conflict which followed the attempt at personal search fell to the lot of B and K troops. Never were men called upon to meet a more sudden, more pressing, and more perilous crisis, and never was crisis more manfully met. The troops of the Second Battalion were mounted, and held in readiness for pursuit. They, with the Hotchkiss guns, completed the destruction of Big-Foot’s men. We learned from wounded Indians that it had been resolved in council the night before to attack the troops. The medicine-man gave the signal by throwing in the air a handful of sand and blowing a whistle. Poor deluded savages! Nothing less could give efficient test of their talisman, the ghost shirt. Of the warriors, eighty-nine are known to have died, and ten to have been badly wounded. It is reported on fairly good authority that of the remaining twenty-one, fourteen were killed, six wounded, and one only escaped unhurt. Many women and children were unavoidably killed and wounded. Officers made every effort to prevent their being hurt. “Don’t hurt the squaws and children,” was the general cry over the field. I found nineteen concealed in the ravine, and sent them under guard to a place of safety. They seemed greatly surprised and very grateful, and in their savage ignorance expected nothing but death. B Troop was in line between the bucks and the ravine, and was the object of the first volleys. At the signal of the seer, the women and children made a mad rush for the ravine and jumped in. The direction of this rush was convergent, and brought the noncombatants in crowds before making the jump. There can be no doubt that many were struck by the bullets of their own people. Furthermore, it is well known that the inexperienced find it difficult to distinguish between squaws and bucks even under circumstances the most favorable. I was stationed at Fort Yates, and saw Indians every day for several months before I could tell women from men when seen at a little distance, so similar is their general appearance and dress. As stated above, most of our men had seen little of Indians. Official lists of our casualties have already been published, and it is deemed unnecessary to repeat them here. Many good men were killed and badly wounded. The wounds were unusually severe on account of the very close range at which they were inflicted. Six of the wounded have since died, and several have lost limbs. The second battalion suffered little, having only four killed and five wounded, or fifteen per cent of the casualties. The artillery had only one wounded. A great conspiracy has now been crushed. This important result has been accomplished mainly by the wise and timely movement of troops. The sharp chastisement at Wounded Knee had a salutary effect. Many plans are proposed for solving the Indian problem. One most important thing can be done, and no time should be lost in effecting it. Let white men on Indian reservations be reduced to the minimum as rapidly as possible. Let all offices at agencies be filled by Indians. Give them the clerkships, the traderships, the post-office, the carpenter, shoe, tailor, harness, blacksmith, barber, and other shops. Let them run the sawmill when there is one. In short, let no work be given white men that can be done by Indians. Teachers in the schools and ministers of religion should also be Indians as soon as may be. The Rev. Mr. Cook is a full-blood Sioux, and a highly educated refined gentleman. He has charge of the Episcopal church here, and officiated at the funerals of our men killed in action. That degraded creature, the squaw man, who does so much mischief, should be abolished; and any white man who lives with a squaw should be obliged to quit the reservation, and the woman should lose all right to rations or annuities. White traders ought to go as soon as their places can be filled with Indians. Citation: John C. Gresham, “The Story of Wounded Knee,” Harper’s Weekly, Vol. 35, (February 7, 1891), 106. This entry was posted in Award Recipients, Officers and tagged 7th Cavalry, 7th Cavalry Regiment (United States), Cavalry, Forsyth, Fort Riley, Hotchkiss gun, John Gresham, Lakota, Miniconjou, Pine Ridge, Sioux, Wounded Knee, Wounded Knee Creek, Wounded Knee Massacre. Bookmark the permalink. 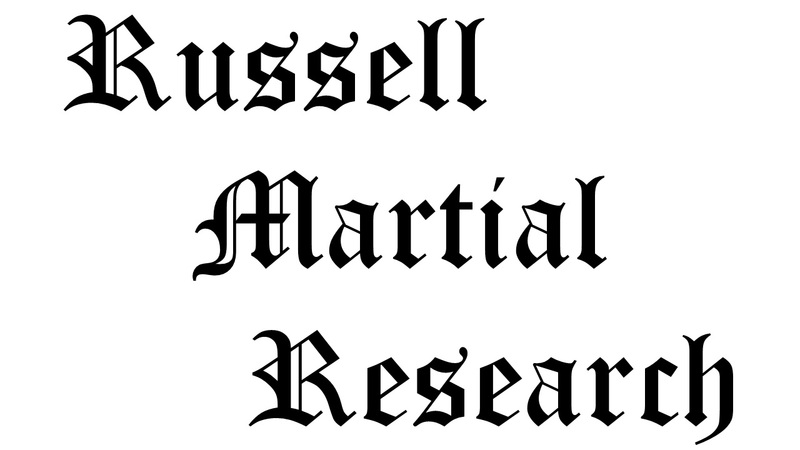 Dear Colonel Russell– I just learned this morning of your valuable resource blog, “Army at Wounded Knee.” I’ve been working on a study of Wounded Knee since 2001 (research) and began writing in 2010 and completed my draft about two years ago. Since then the manuscript has been in production with the University of Oklahoma Press and is due out on April 1 upcoming. I am aware of your interest in Wounded Knee through your fine master thesis, a copy of which I obtained years ago from Fort Leavenworth. The Whitside letters were especially insightful and useful. I wish I’d been aware of your blog posts, which apparently started last year. From what I’ve seen today, you have found a number of valuable sources that I wish I had had access to during my research, and I must congratulate you on your thorough compilation here. I’m located in Arvada, Colorado. I certainly look forward to meeting you one day. Thank you for your dedication to the study of Wounded Knee. Mr. Greene… Thank you for the post. I have enjoyed reading your Indian War Veterans, which I have on my Kindle. The “Winners of the West” accounts are outstanding. I particularly enjoyed Andrew J. Flynn’s account of his “medic” duties during the battle. I eagerly await the release of your book and have pre-ordered a copy through Amazon. I’ve not posted on this blog lately, as I shifted my focus to writing a book on the soldiers from Wounded Knee. Very slow going as I am still on active duty.